The liver plays an important role in the body’s metabolic processes. In addition to its other roles, it breaks down nutrients like fat into substances the body can use and stores them until energy is needed. The liver also converts toxic substances into harmless substances that can be released safely. It’s even responsible for metabolizing carbs to keep blood sugar levels stable. When alcohol is consumed, the liver must metabolize it and convert it into a safe substance. The liver can only handle a certain amount of alcohol at once, though, before it struggles to process it. In the liver, alcohol metabolization produces acetaldehyde, a toxic enzyme that damages the liver cells and leads to permanent scarring. Alcohol abuse in the form of heavy and/or regular drinking can lead to alcoholic liver disease, a chronic disease that comes in many forms. Alcohol is the primary cause of liver disease. The first stage of alcoholic liver disease is called fatty liver disease, or a build-up of fat in the liver. Fatty liver can happen after a single case of binge drinking and it’s usually reversible by quitting alcohol. It isn’t believed to be a predisposition to chronic liver disease like hepatitis and cirrhosis, but it can worsen if drinking continues.In most cases, fatty liver has no symptoms, but it can cause inflammation that leads to confusion, abdominal pain, weakness, and fatigue. Alcoholic hepatitis can be mild to severe. While still mild, quitting alcohol and seeking treatment may reverse the disease. When severe, it can lead to a build-up of fluid in the body, liver and kidney failure, and behavioral changes and confusion when toxins build up and cannot be broken down by the liver. While cirrhosis is very serious, most people with alcohol-induced cirrhosis who quit drinking experience an improvement in their liver function. When cirrhosis is advanced, a liver transplant may be the only treatment option. Some people do not have any symptoms of alcoholic liver disease until the disease progresses to hepatitis or cirrhosis, but others show early signs. Symptoms of liver disease often show up more frequently after binge drinking and may include jaundice, abdominal discomfort, swelling in the abdomen or legs, weight loss, dark bowel movements, confusion, fatigue, and nausea.People with a family history of alcoholic liver disease are at higher risk for the disease. The risk of alcoholic liver disease also increases with poor nutrition, frequent heavy drinking, and binge drinking. Binge drinking may also lead to acute alcoholic hepatitis, a life-threatening condition that can occur after just 4-5 drinks. Prompt treatment and quitting alcohol is the best way to stop the progression of liver disease and even reverse mild damage to the liver. Someone with alcoholic fatty liver or mild alcoholic hepatitis who stops drinking can typically recover fully. Even with mild cirrhosis, quitting drinking forever can often stop the progress of the disease permanently. 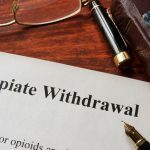 In severe cases of liver damage, a transplant may be the only treatment option.People who are drinking more than they should and have trouble quitting are usually advised to enter a treatment program that includes detox and/or a support group. Quitting drinking cold turkey can cause serious withdrawal symptoms in people who have been drinking for many years and/or drink heavily. This process should be medically supervised to prevent life-threatening complications of quitting.